Effective June 1st 2018, China Customs has announced to execute “Order No. 56” to reinforce the management of Inbound cargo into China. The description of goods must contain as much detail as possible so that the goods can be easily identified especially by Customs. 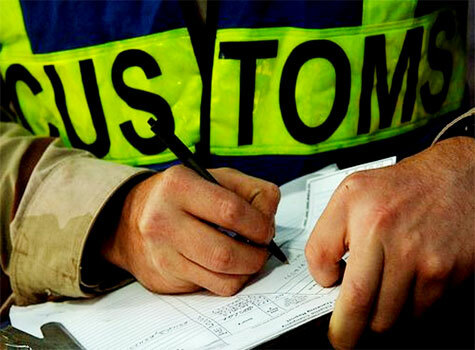 General descriptions such as computer equipment, tools, parts, textiles etc.. are NOT allowed and will result in a Customs failure. The postal address of the shipper and consignee must have at least number and street address or PO Box number. The 6 digit postal code is mandatory. Contact numbers for shipper / consignee / notify party should be shown without spaces or hyphens e.g. 862162637366. For commercial shipments: The shipper, consignee and notify party identification numbers must be included. For the UK this will be the company number or VAT number. For China this will be the United Social Credit Identifier (USCI) or Organization Code (OC) number. For personal effects shipments: The shipper, consignee and notify party identification numbers must be included. For the UK this will be the passport number. For China this will be the China ID card number. Please note that you will be liable for any penalties following late submissions following generic cargo descriptions. Please ensure that you fully comply with CCAM adjustments in order to avoid any inconvenience, delays and additional fines.